Stories, with their powers to transport us to distant lands and imagine ourselves as others, are magical. But I’ll tell you a secret. The writing of stories is not magic. Writers are regular people. They are regular people who are highly imaginative. But they are not special, not different in any significant way from you or anyone else. Yes, they may care deeply about words. They may get annoyed by storyline inconsistencies to a degree some might call “extreme.” But they are not possessed of any skill or power that is not available to anyone else. So what makes a writer a writer? What separates those able to tell stories from those who only consume them? Writers like to watch people. I often get in trouble while dining in restaurants because “I’m not paying attention.” But I am! Not to my date, but rather to the woman at the table beside us whose date has left her mid-meal and who is now begging the waiter to have the chef come out and talk to her. (This really happened. It was an amazing train wreck!) It is watching others and listening to their speech patterns and trying to determine what they’re up to that distinguishes writers from other people. You have to pay attention if you want to have a chance at representing life in a way that is true, not just in fact, but in spirit. Writers study stories. Reading gives you access to new words and points of view and storylines. Reading also teaches you how authors use scenes to construct their story’s narrative arc. How a villain can be made sympathetic. Reading enlarges your world, and exposes you to the tools of the trade. Poor writers are often guilty of not reading enough or broadly. Imagine spending three years crafting something precious. Then imagine showing it to people. And having them say, “Not for me” or “Maybe when you’ve made another I’ll consent to look at it.” Writers endure this critique a lot. And it can be hard. Imagine every literary rejection as a tattoo. Most working writers would be walking around adorned in ink that cost them serious pride. Writers are tough bad-asses. There are few writers who are besieged from readers requesting more work. 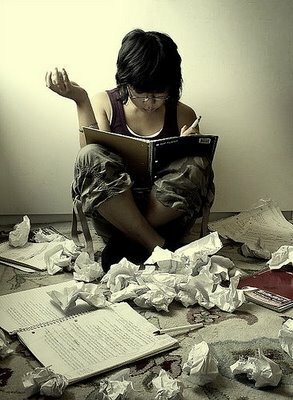 Most must sit and write, day after day, with little or no encouragement. To do that–to carve out time from your life, to pursue a craft people dismiss as your “hobby”–requires a dig-in-your-heels stubbornness. And a belief that the words you set down are important. There’s a reason writers spend so much time working in an uncertain business: they love stories. They love hearing good ones. They like telling them. They believe in the transformative power of words to make people reimagine their circumstances. Because writers, in the face of all they know, still believe that stories are, in part, magical. But writers recognize they are not magicians. And as such they are not part of a select group sworn to secrecy. So join us. Learn with us. Tell us a story. Become a writer. You can.